Acupuncture uses needles to manipulate the flow of energy or blood, to relieve pain or for therapeutic purposes. The needles are inserted along specific pathways in the body. The philosophy underlying and governing the practice is that meridians (energy channels) circulate around the body. The meridians are the channels carrying Qi or life force energy. Acupuncture seeks to improve the flow of Qi, as when it is impeded, ill health arises. 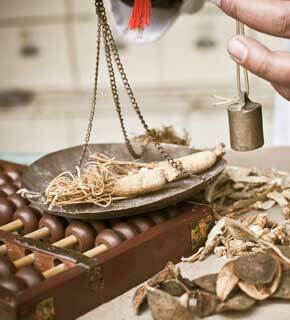 The body is treated as a whole in Chinese medicine. The body is seen as composed of several “systems of function” called the zang-fu. The primary and most used needling points exist along the twelve main and two of eight extra meridians (called mai). In total there are fourteen meridians that the Qi and Blood flow through. There are other points outside of these fourteen channels that can be treated. An “ashi” point is the name given to sore spots where Qi or Blood is thought to have stagnated. 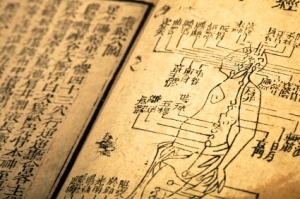 The zang-fu organs of the twelve primary meridians are the Lungs, Large Intestine, Stomach, Spleen, Heart, Small Intestine, Bladder, Kidney, Pericardium, Gall Bladder, Liver and the intangible San Jiao. Acupuncture is a foundational practice healing within Traditional Chinese Medicine along with herbal medicine. To find out more about the conditions that can be treated visit this page which gives a brief overview of the philosophy of TCM. If you do not feel comfortable with needles other techniques that work on manipulating the same energy pathways are available such as cupping or acupressure. Acupuncture works well combined with herbal medicine and tui na massage. "I have not felt this good for as long as I can remember." "A lovely lady with experience and compassion." "She is blessed with ‘X-ray fingers’ and has the ability to get to the source of the problem and treat the pain."